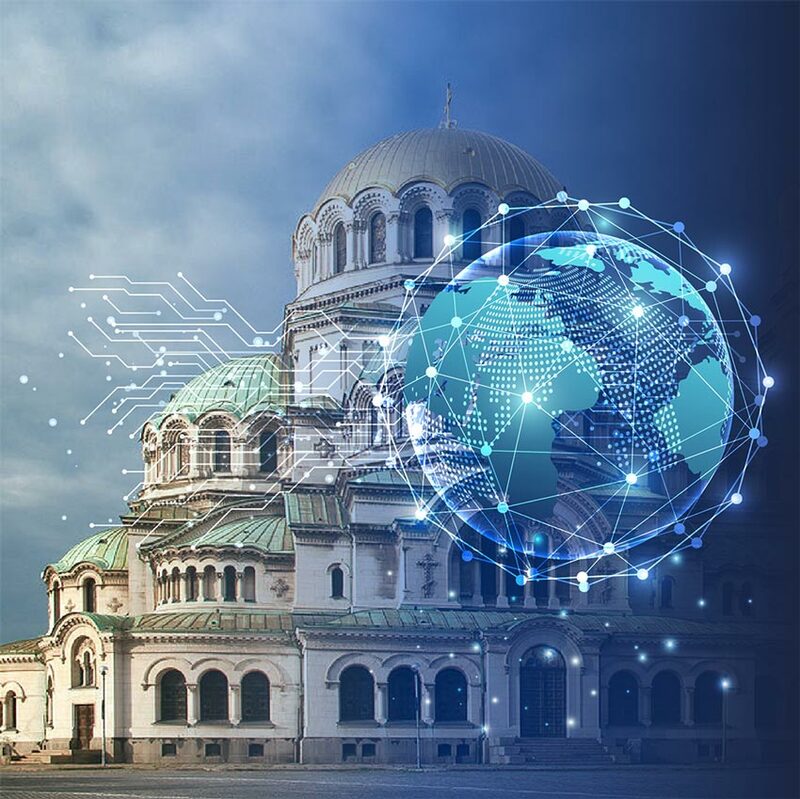 CloudSigma is excited to sponsor the Copernicus Hackathon Sofia that is going to take place in Sofia, Bulgaria on 19-21 April, 2019. The organisers of the event are the RISK-SPACE-TRANSFER Aerospace Technology Transfer Office (RST-TTO) along with the Center for Excellence “Universities for Science, Informatics and Technologies in e-Society” (UNITe). It is Bulgaria’s first hackathon on the European Earth Observation Program – Copernicus. The Copernicus Hackathon Programme is financed by the European Commission. Its goal is to bring together developers, entrepreneurs and topic-specific experts to develop new applications based on Copernicus Earth observation (EO) data and services. The Programme enables Europeans to explore many application fields on Earth with the free and open source data from Copernicus. The goal of the Copernicus Hackathon Sofia is to promote the potential of the Copernicus Earth observation data and services. Specifically, the Hackathon will aim to apply Copernicus Earth observation data to address the communities in the Balkan region. Participants are going to be divided in teams of 3 to 5 people. After that, each team will get access to Copernicus data, DIAS cloud service platforms, support from mentors, and a GitLab repository with useful tools. Then, teams will seek to develop innovative products for end users in four themes related to the Copernicus programme. The themes are: Emergency management, Coastal and water monitoring, Environmental protection and Precision agriculture. CloudSigma has been sponsoring events in the area of Earth Observation for a while now. For example, we are a recurrent sponsor of the Space Apps Challenge in Rome. We are offering support with free compute resources for Space Apps participants to use while developing their groundbreaking innovations. Moreover, we have recently sponsored the Earth Observation Exploitation Platform Hackathon, organized by The Open Geospatial Consortium (OGC) and the European Space Agency (ESA). 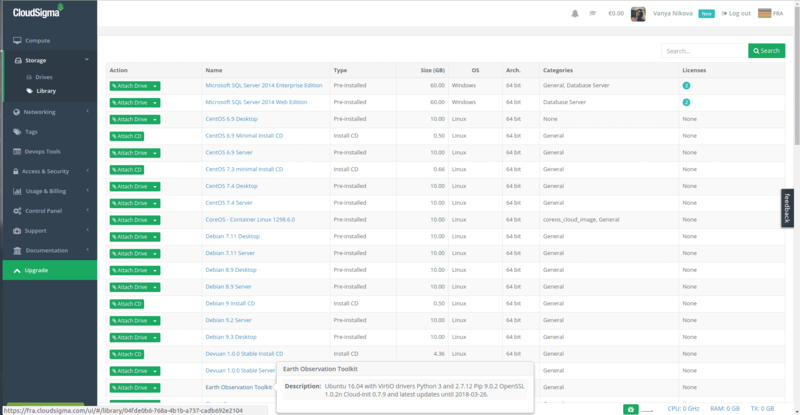 Our work in the area of Earth Observation has led us to offer a combination between CloudSigma’s powerful computing environment and a repository of Sentinel S-1 SLC data. In fact, CloudSigma’s completely open software layer is especially conducive to such challenges. This is because it lets competitors configure and deploy whatever they need. We offer a truly flexible cloud platform especially suitable for research, data and inventions. CloudSigma is excited to help Balkan communities through the potential of the Copernicus Earth observation data and services. We are particularly proud to be a part of a Bulgaria-based Hackathon as our Sales and Operations offices are located in Sofia. Additionally we are going to provide training and a demo of our platform during the event, so that participants get a clear idea on how to use our cloud resources. In the end, we believe that an improved sharing and integration of earth observation data would have a widespread and long-standing benefit for businesses and for society at large.